Heres the 1st picture of me painting inside my gallery. 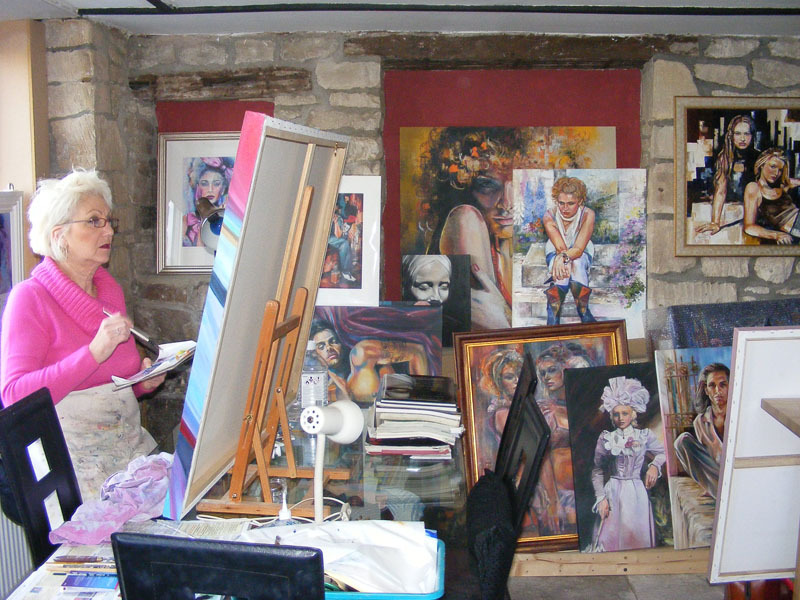 Behind me you can see a mixture of my original art work and Giclee Canvas prints. Helen Kirk’s Diploma review of ‘The Earring’ compared to Vermeers ‘Girl with Pearl Earring’ →← Where did Art begin?